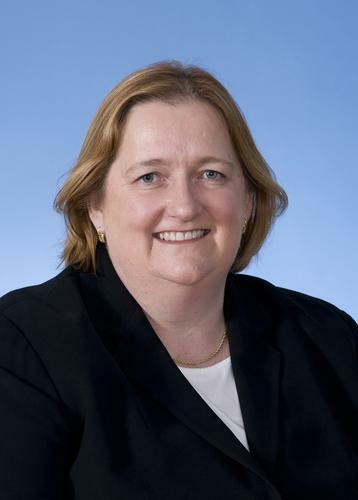 Jan Bingley, general manager, Commercialisation & Equity Portfolio at the CSIRO. That’s all changing now, following the CSIRO’s decision in 2004 to form a Commercialisation and Equity Portfolio division with the specific mandate to identify and develop IP with commercial potential. In the six years since the Commercialisation and Equity Portfolio’s inception the CSIRO has spun out 27 companies based on its IP, employing about 500 people and with a market capitalisation of close to $1 billion. Revenue based on equity and royalties from the CSIRO’s IP has grown from $7 million per year in 2004 to $82 million last financial year. The IP portfolio itself has grown from $9 million to $120 million. Although the CSIRO is one of Australia’s largest public sector institutions, the lessons the organisation has learned about IP apply equally well to private sector companies. When you come to spinning off your IP to form a start-up company you need to remember it’s all about people -- the right people -- to run the company. You have to identify who is going to champion the opportunity, who will drive it forward, who will live and breathe the company in the early days. Without that person, you won’t get the same level of success. You attract the right people by being very clear about what the market opportunity is. You also want to have lined up potential buyers of the new technology to provide the validation that you really do have an opportunity. You need the right collaborators on the team and to have an experienced, quality investor interested. Quality investing partners tend to have the connections and relationships -- that’s part of their value -- and will bring the right CEO to the new company. If those things are there, then the people will come and want to be a part of it. Articulate the opportunity very clearly, get independent validation, and line up current and potential customers to confirm that potential. Understand your competitive advantage and the opportunity. You do need advisors and people with a wide range of expertise around you -- IP advisors, commercial advisors, legal specialists, HR -- to pull it all together. Remember there is a long way to go with a lot of capital required. At the CSIRO, our primary objective is about adoption of our technology, not the value. Scientists by nature are smart and often instantly see the multi-billion dollar potential in their inventions, so they can jump to the conclusion that what they have is worth millions or billions. We have to remind them that at the innovation stage there is still a long way to go -- a lot of money and resources. They have to be brought back to reality.